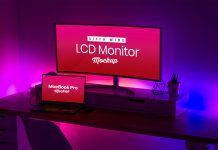 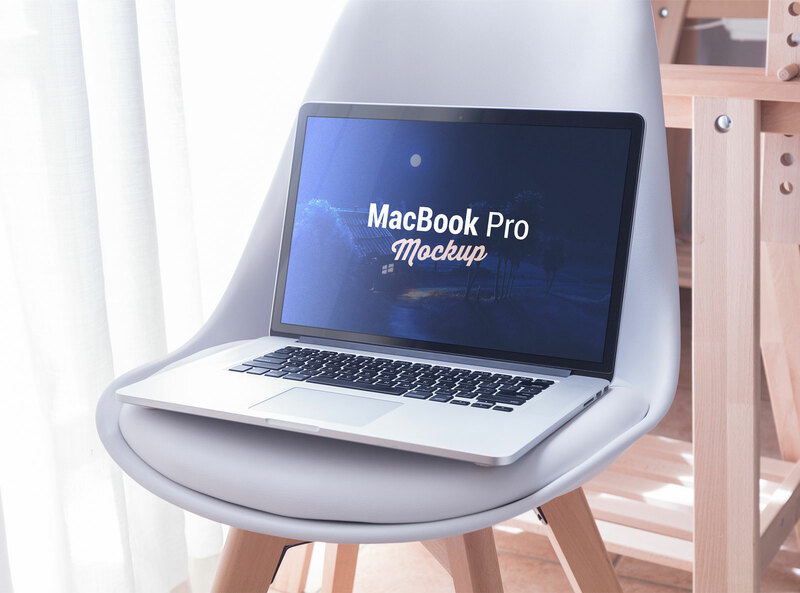 We are glad to share a new mockup on goodmockups website. 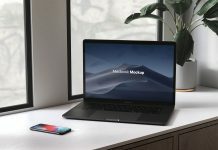 Today, we have a laptop mockup placed on a modern dining chair. 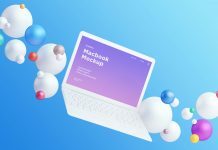 This laptop is an older version of MacBook Pro. 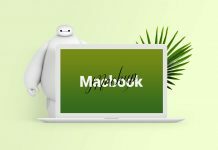 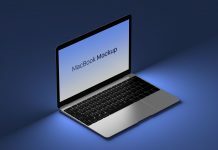 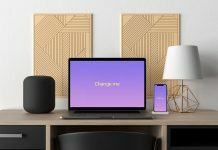 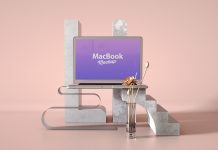 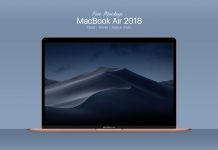 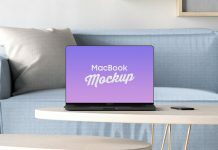 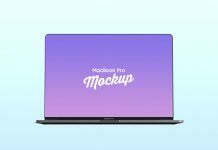 Use this Macbook mockup to place your website design and create a photo realistic outcome of your artwork. 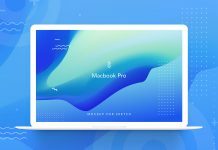 There are few reflections applied on the top of the smart layer, you can remove them to get cleaner outcome and adjust the opacity of reflections as per your requirement.